Disclosure: This post is brought to you by the Tic Tac® brand. I received compensation to write this post through the Tic Tac Pack Program; however, all opinions expressed are my own. As you know, it’s my personal belief that all holidays deserve a party and Easter is no exception. 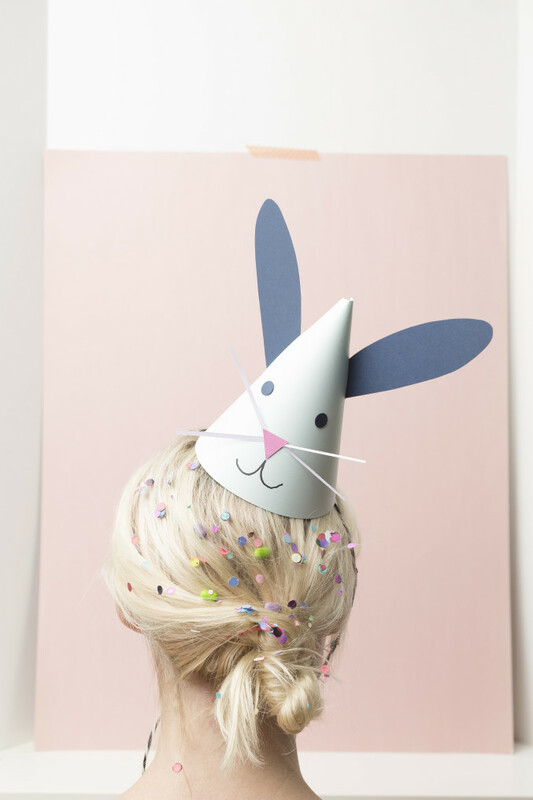 That’s why I came up with this DIY bunny party hat to celebrate in true bunny style. 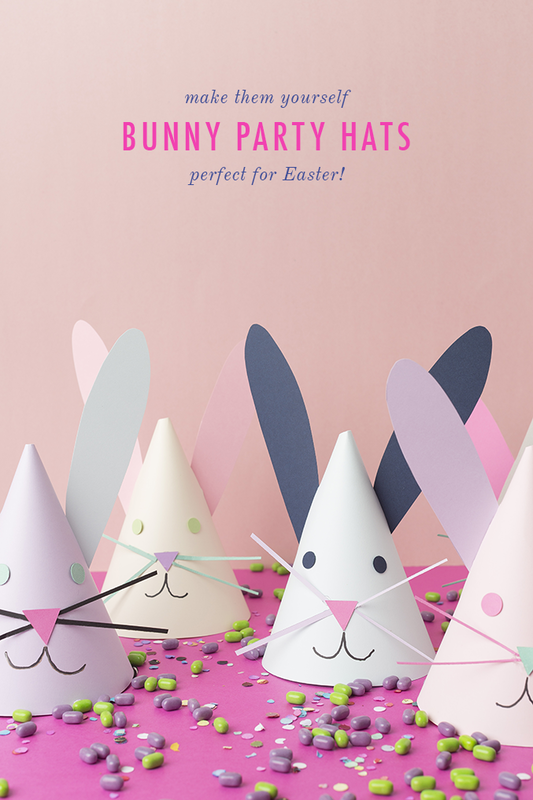 They’re perfect for an Easter hunt or sporting at the dinner table. No big pink bunny costumes (a la a certain Christmas movie) needed! See below for the full tutorial. 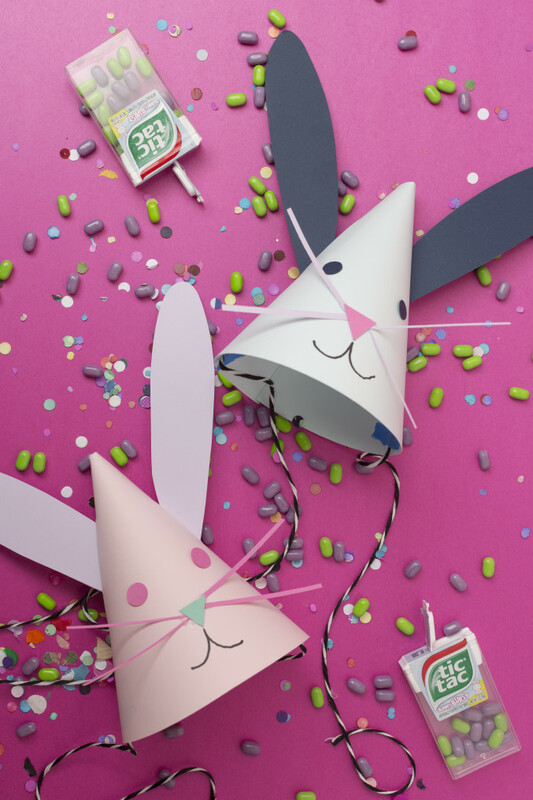 I used the new Bunny Burst Tic Tac® mints to inspire my color palette for the bunny hats. They are a blend of artificially flavored green apple and grape mints and, of course, I ate a few along the way, to really get into the spirit. These little mints were the perfect confetti accessory for the table scene. 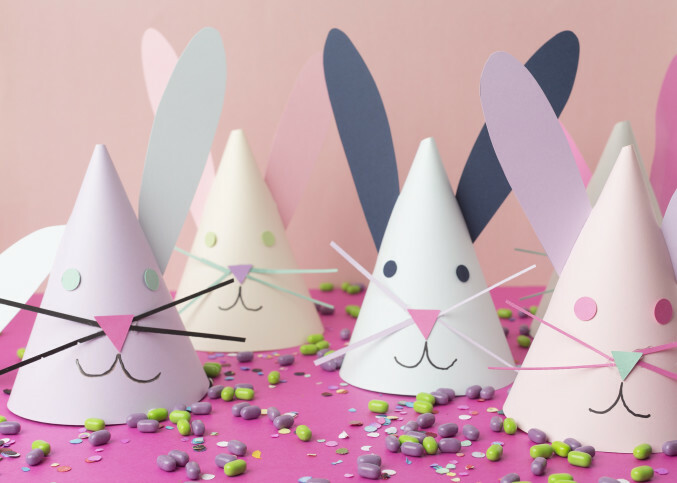 Wouldn’t they be cute left out as a surprise for your guests mixed with the party hats? !